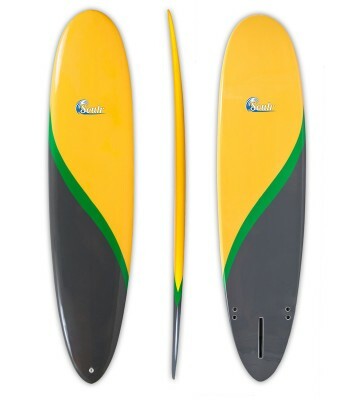 Get ready for some fun sessions with this Mini Mal surfboard! We took our most popular long board shape and shrunk it down to a funboard size. From the nose to the mid-section, it's got the traditional width of a longboard, but the back half tapers off smoothly to a pin tail for improved maneuverability and faster rail-to-rail transitions. The bottom contour features a single-to-double concave down the length of the board. This unique combination lets you get up on the wave early and enjoy an easy cruise while carving up and down the face of the wave with minimal effort. Featuring a 2+1 fin system, you've got the choice to go old school with a big single fin, or throw on the side fins for extra hold in bigger waves. About the construction: At the core is a hand-shaped EPS foam blank with a 1/4" wood stringer down the center. After it's been sealed with epoxy resins, we threw a clear coat on the board for a nice polished finish. 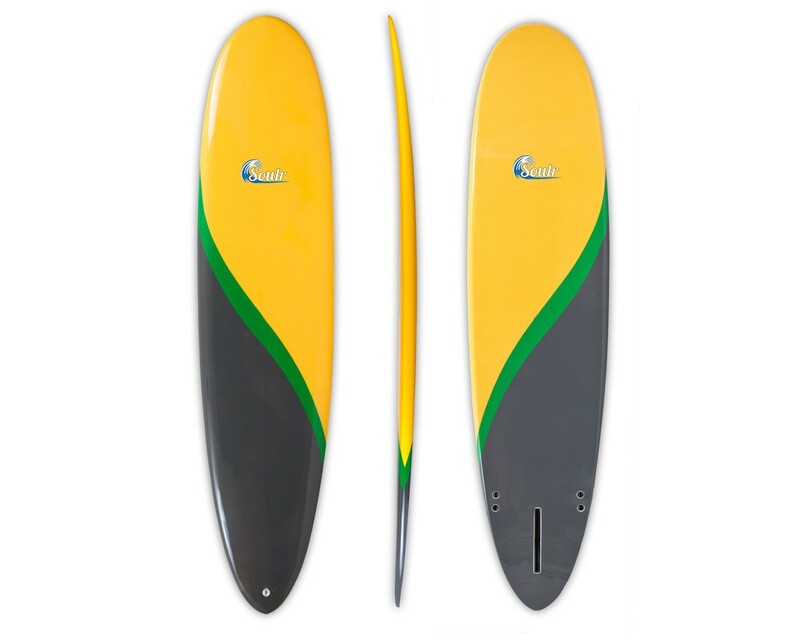 This board comes ready to surf with a 9" fiberglass center fin and two FCS side fins. Length 8'0" x 21" x 2.75"